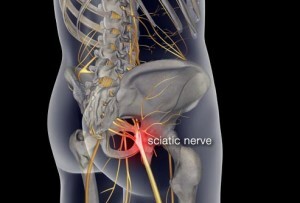 The sciatic nerve is the largest nerve in your body and travels down the sacral area, buttocks and back of your leg. It is formed from nerve roots in the lower back and sacral region. Massage therapy can be quite effective in treating the sciatica pain. In a recent study of 400 people with low back pain and sciatica pain one group received therapeutic massage and the other group was a control group included a combination of other alternative therapies. Ten weeks later, the massage patients reported better functioning and less pain. More than a third of them said their pain was completely or nearly gone, while only 4% of those in the other group reported such improvement. Chiropractic adjustments combined with massage therapy can also relieve sciatica pain by reducing nerve pressure in the lumbar spine. improvimg spinal posture and reducing myofascial trigger points in the piriformis muscle. Discover the benefits of chiropractic care with a Back Vacation – A first time new patient visit including consultation, exam, x-rays if needed and first treatment is only $29. Experience relief from therapeutic massage with a Massage Vacation - a 30 minute massage for only $29.